As cold weather sets in across much of the U.S., the leaves are falling, days are shorter, and the nights are longer and colder. The National Weather Service is predicting a colder than normal winter for the upper portion of the country. Based in northern Iowa, the long winter months can be a challenge for our flock at the Hatchery. 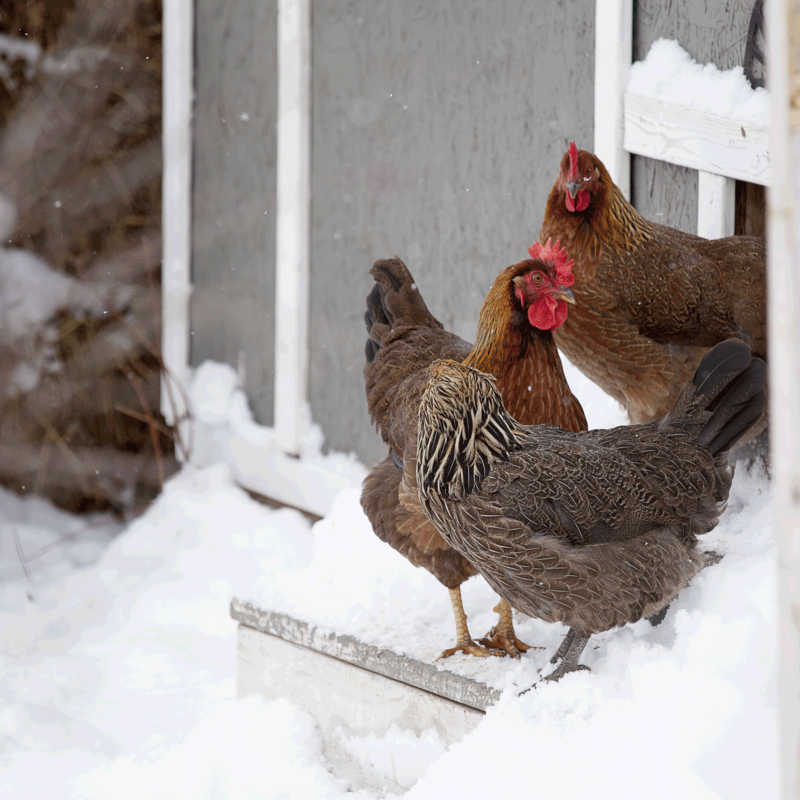 Select from the page links below to learn more about our favorite winter tools and accessories that we use at the Hatchery — and in our own coops at home — to help our birds weather the cold months.